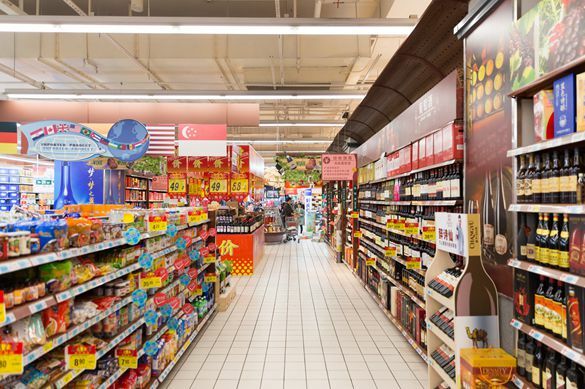 Kantar Worldpanel’s latest figures for 12 weeks ending 30th November 2018 shows consumer spending on FMCG in China grew by 4.6% compared with the same period last year. Modern trade grew by 3.8% in which supermarkets and convenience stores led the growth, up by 6.8% and 7.1% respectively. Grow of supermarket was driven mainly by bigger baskets, and convenience stores through significantly increased traffic. Further offline and online integration as well as heavy promotions during the week of Single’s Day helped grow sales of brick and mortar retailers. Sun Art Group managed to grow by 2.7% in the latest 12 weeks despite overall weakness in the hypermarket sector. To improve its performance, the group just announced the move to convert 5 Auchan stores in the South to RT-Mart, with more Auchan banners expected to join later. The aim of transition is to help drive more efficiency in their supply chain and accelerate the of activation of RT-Mart’s ‘New Retail’ to the 70+ Auchan stores in China. Ecommerce, in the latest 12 weeks ending 30th November 2018, covering 11-11, grew by a staggering 33%. In terms of penetration, 33.8% of Chinese urban households bought FMCG online in the latest 4 weeks covering Single’s Day. This number was 6.1 points higher than the same period last year, showing that Single’s Day continued attracting new shoppers to participate in the world’s biggest shopping carnival. 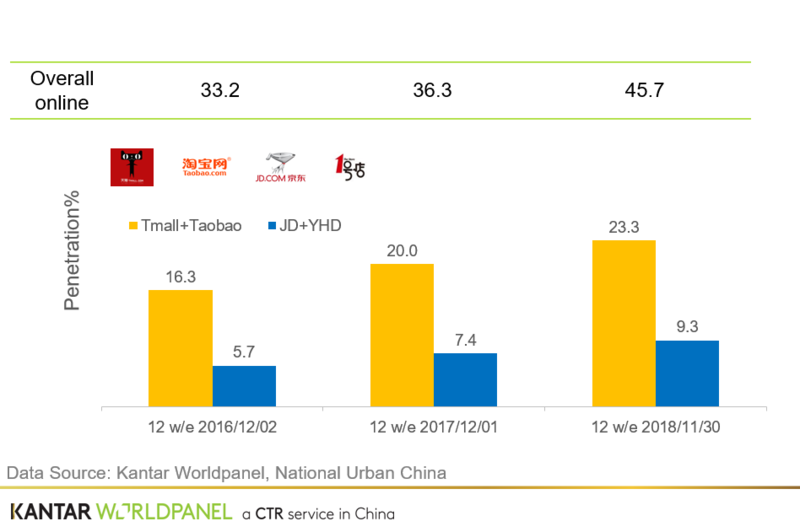 In the latest 12 weeks, the Alibaba group (Taobao and Tmall combined) gained new shoppers faster than the JD group.